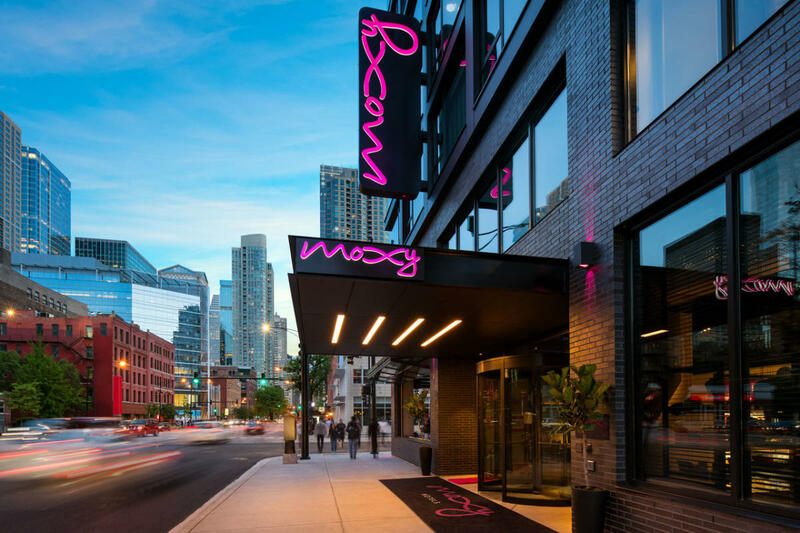 We are Moxy Chicago Downtown, the first of its kind in Chicago offering a locally inspired, contemporary design, industrial chic style, and buzzing social scene. 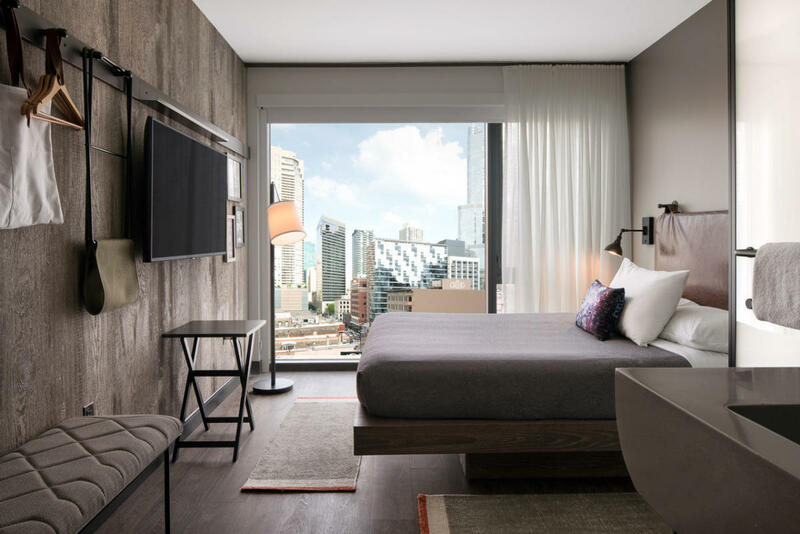 With a prime location in Chicago's dining and nightlife hot spot, River North, Moxy Chicago's 156 bedrooms is comfortable and tech savvy with motion sensor lighting, 49-inch LED TV's, abundant power and USB outlets, as well as furiously fast and free WiFi. 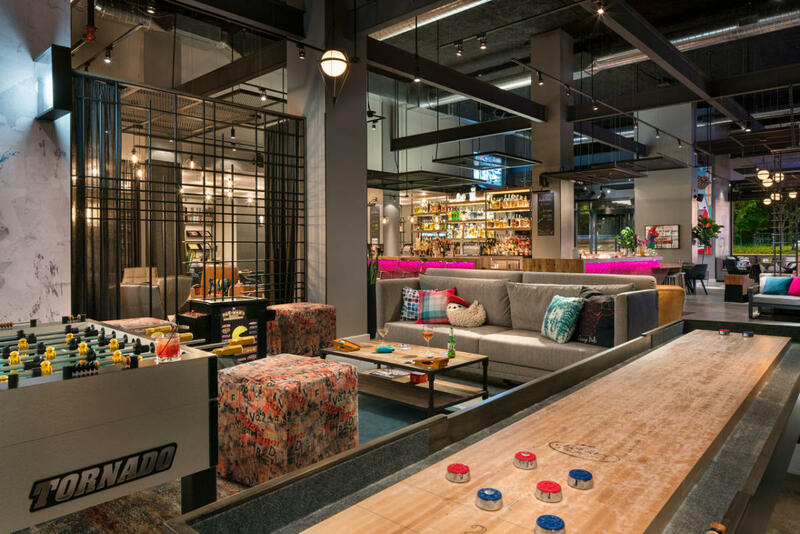 The lobby features game tables, an interactive digital guestbook, and a bar which doubles as the check in desk where you're greeted with a complimentary 'Get Moxy' signature cocktail! 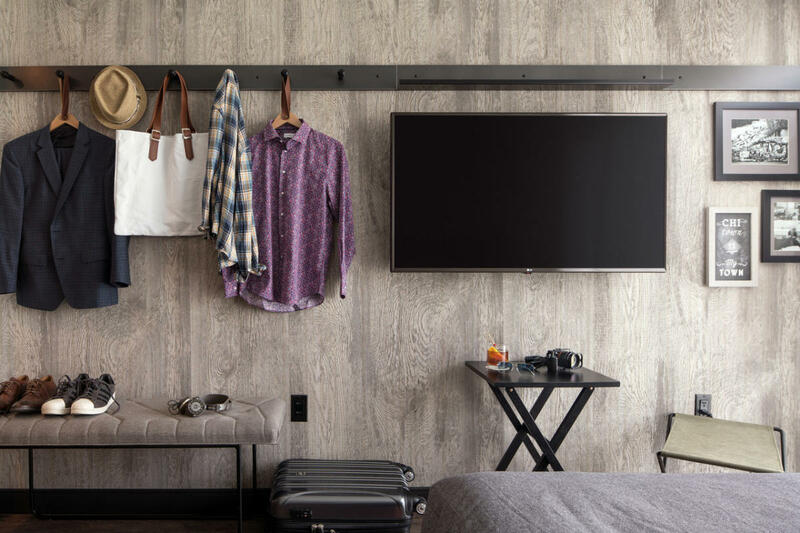 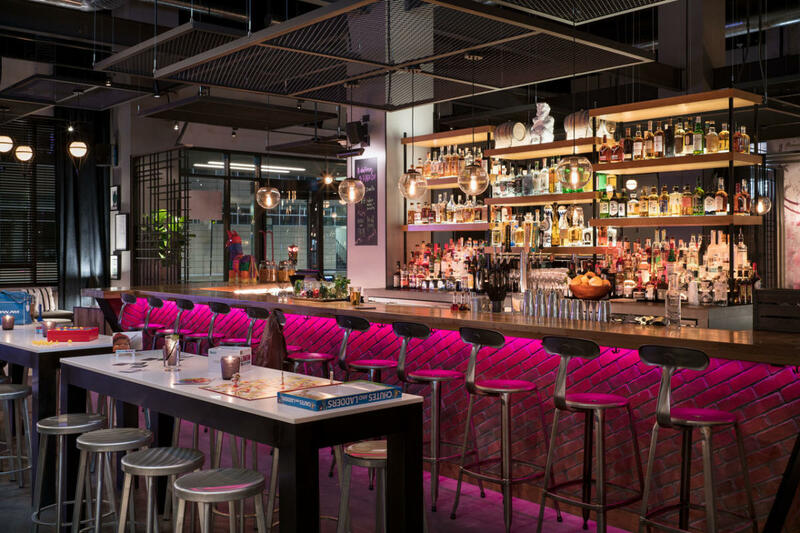 The bar features an energetic alternative to the typical hotel experience, Moxy Chicago Downtown proves that affordability doesn't mean sacrificing style or comfort.